Tattoos are everywhere nowadays it seems, and everyone is wearing them. But I am interested in these body decorations for one reason only. They are part of the fur trade, and in the Native culture everywhere. Years ago I ran across tattoos in Archibald Norman McLeod’s Diary, which is published in a book called Five Fur Traders of the Northwest, being the Narrative of Peter Pond, and the Diaries of John Macdonell, Archibald N. McLeod, Hugh Faries, and Thomas Connor. The book’s editor is Charles M. Gates, and it was published by the Minnesota Historical Society, St Paul, in 1965. Archibald Norman McLeod was active in the service of the North West Company in 1796 or earlier, and was made partner some time before 1799. At the time he is writing this journal in 1800-1801, he is at Fort Alexandria — NOT the Fort Alexandria on the Fraser River which I have spoken about so often, but the Fort Alexandria somewhere on the upper waters of the Assiniboine River, nine miles above the HBC post at the Elbow. I was reading this journal to find my g.g.g.grandfather Beaulieu, and in fact, a voyageur named Beaulieu did wander through Archibald McLeod’s post — which is why I have it copied out. The Buffalo are going farther off very fast owing to the extraordinary mildness of the weather, people go days journeys without mittens, so very fine is the weather. I took a ride on horse back today of upwards of an hour without gloves & felt not the least cold. Cadieu is getting himself tattooed by La Frenier, as has already Boiselle. So that was my first introduction to tattoos in the fur trade, and I found that an easy fifteen years ago! I looked in Carolyn Pudruchny’s book, Making the Voyageur World: Travelers and Traders in the North American Fur Trade [University of Toronto Press, 2006], and found a mention of body tattooing being learned from the Natives. 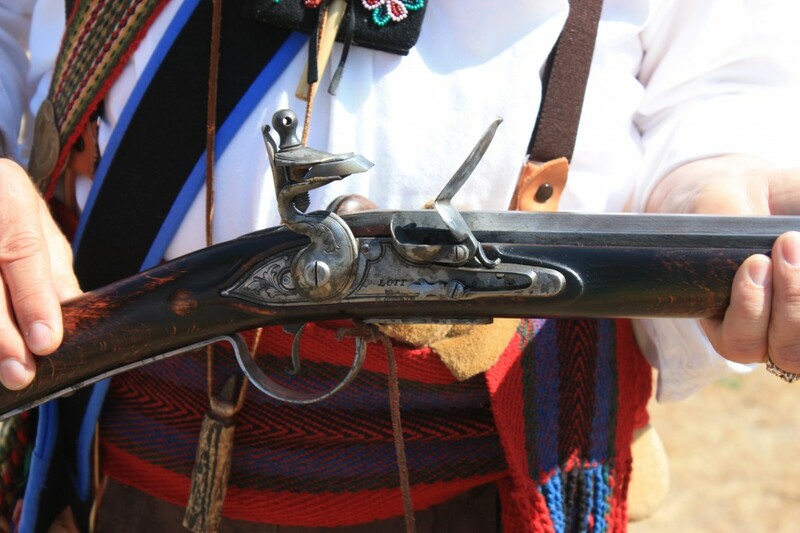 So above is an example of the voyageurs who worked in the North West Company’s fur trade in 1800-1801, learning the Native craft of tattooing, and applying it to themselves. So tattooing was part of the voyageur tradition east of the Rocky Mountains, which means it was almost certainly brought to the West. But it was also part of the Native culture West of the Rocky Mountains, long before the first fur traders came in 1807 or so. 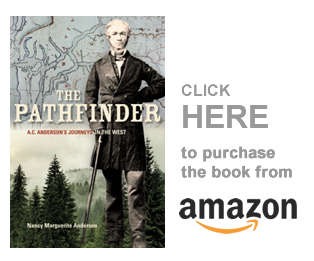 I discovered this when I was writing about Blackeye, the “Similkameen chief” who Anderson met in 1846 as he descended the Tulameen River from the Coquihalla plateau. My project, set aside for the last few years, had become the project of identifying Blackeye and his son and giving them their Native names. I still want to do that, and I will have to pick up the many threads of the project again and braid them together. Blackeye’s Son will be a major character in one of my future books. He is as important (if not more important) than any white or mixed-blood employee of the fur trade, to the creation of the brigade trails! Slaves taken in war were well treated, but always had one eye blemished to mark them… [Source: “Account of the Similkameen Indians of British Columbia,” by [Mrs.] S.S. Allison, Journal of the Anthropological Institute of Great British and Ireland, vol. 21 (1892) pp. 305-318]. At the end of the eighteenth century there was a small Athapaskan-speaking tribe, wedged in among these five Salishan tribes, which occupied the valley of the Nicola river and part of the valley of the Similkameen. Early in the nineteenth century the Thompson River Indians absorbed it so completely that only a few legends, and a small vocabulary of names, bear witness to its former existence. [Source: Diamond Jenness, The Indians of Canada [Toronto: University of Toronto Press, 1977] p. 351. I believe that Blackeye was Stuwix. The Stuwix were genealogically connected to Chief Nicola — Nicola’s mother was half Stuwix. The Stuwix were also the only peoples in the Nicola Valley to have tattooed their faces. Hence, Blackeye! … According to Mary Jane Joe, one of the last identifiable Stuwix was Joseyaska… She confirms the tattooing of Stuwix in her thesis and also describes early resource conflict in the Nicola Valley between Stuwix and non-Aboriginals. And so I have some other leads to follow up! The story is unfinished. I will add more to it under the heading of Stuwix Stories when I learn more. In the meantime, here are some tattoo posts for you to look at, if you are interested and if that is what brought you to this post — which is highly likely to be the case considering the heading of the article. Enjoy! Copyright Nancy Marguerite Anderson, 2014. All rights reserved. This is about tatoos, and MORE! This relationship is open to question, however, because in the footnote (same page): “According to the genealogy the woman [Marie] was the second wife of Peone, and no relative of Kesaskai’lex. Peone’s first wife was a sister of Kesaskai’lex.” SLS: I would like to add that nothing would preclude BOTH women from being sisters or half sisters and the wives of William Peone – it would have been quite customary to marry another with the same kinship links. “1811 Francois DUCHOQUETTE (1819-1863): aka Dechouquette; m’d Marie Marguerite Okanogan. Duchoquette was a Pacific Fur Co Employee, and an overland Astorian. He served off and on as postmaster at Fort Okanogan. He was said to be an intelligent man, was able to read and write and was a “pretty good bookkeeper”. He was also known as a man much addicted to drink.” [online “Emmigrants to Oregon Prior to 1839 by Stephanie Flora]. Teit #1: Annual Report of the Bureau of American Ethnology to the Secretary of the Smithsonian Institution 1930 pages 198 through 294.